This is the second in our series of guides on buying collectibles as an investment. We started last month with a guide to investing in toys. This month we are going to be taking a look at comic books. We're going to begin with a short discussion of the history of comic books. A good place to start is probably a look at the different eras of comic book collecting. Golden Age - Generally regarded as extending from the late 1930s to the early 1950s, the Golden age saw the first appearance of what we now consider to be the standard comic book format. This period also saw the formation of Marvel and DC, now considered to be the two big comic book publishers (although they initially traded under different names), along with many of the most famous characters including Batman, Superman, and Wonder Woman. Silver Age (early 50s to early 70s) - The popularity of superhero comics actually started to wane at the end of the Golden Age, compared to a broad range of other genres, such as horror, sci-fi, and westerns. However, the Silver Age saw the rise of the dreaded Comics Code Authority in the US, as a result of a backlash against the perceived "corrupting influence" of comic books. This placed severe restrictions on the types of stories that could be covered, leaving superhero comics as one of the few genres that could prosper under the new regime. Bronze Age – Bringing things forward to the 70s and into the mid-eighties, the Bronze Age of comic books saw the return of more mature plotlines and increased social consciousness. The Modern Age – Leading through to the present, The Modern Age of comic books was probably characterised by the relaxation of the CCA’s power over the industry, as comic publishers eventually began to publish individual titles not governed by the code, and eventually, around the turn of the millennium, it was abandoned entirely. Of particular note to the comic book investor are the nineties, a period in which publishers pandered to collectors with lots of 'limited edition' comics, published in massive print runs, and seriously eroded the perceived value of comic books as an investment. Another factor which has had a massive impact on the value of comics as collectibles is the dramatically increased availability of reprints of old stories, both as “trade paperback” collections and as digital media. It used to be that many collectors would attempt to acquire old copies of comic books simply because it was the only way that they could read the story and complete their collection, but those days are now gone. Today the market in high value comic books, such as it still exists, is simply based around the chance to own an original printed copy of a rare issue, not because the collector wishes to discover what happened in a particular issue. It’s vital that anyone considering entering into the field and purchasing comics as an investment understands the level of knowledge required. You will not make money by randomly buying new comic books and you are highly unlikely to make money by collecting simply those issues in which you have a personal interest. Modern comic books, even the very collectible ones, simply do not command the prices of those from previous times, due to, as with many other forms of collectibles, the large numbers that end up being preserved. Another issue is that the 'value' of old comic books has well and truly permeated the collective consciousness and many vintage issues are now in the hands of people who will have a seriously inflated expectation of their actual value. Of course, the very factors that now make comic books a challenge for the investor may pave the way for a resurgence in their value - the number of serious comic book collectors and resellers is dropping steadily while sales of print comics are currently experiencing a marked resurgence, probably driven by the massive success of comic book IP and characters in other mediums such as cinema. It’s possible that this increased interest in comic books, and decreased perception of their worth as an investment, may end up increasing the future value of newer comics, although probably not back to previous heights. So what makes a comic book valuable? Issue #1s and collectible 'event' comicsBe wary here, especially when it comes to modern comic books. First issues and 'event' books are notorious for being printed in massive quantities and snapped up in large volumes by amateur collectors. Consider as well the transitory nature of comic book events, especially when they happen to characters that are worth millions of dollars in intellectual property rights. 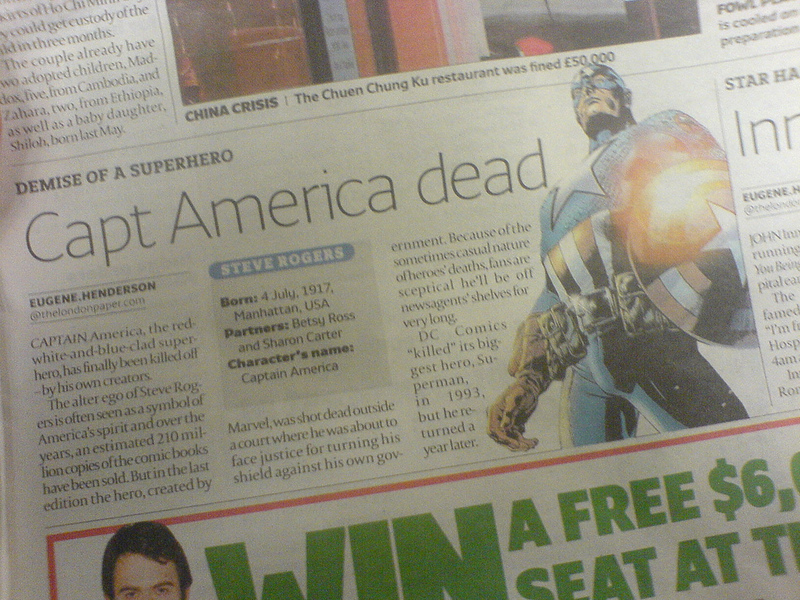 If Captain America has just been 'killed off' it's very unlikely he’s going to stay dead for very long. The truly influential issues are often hard to identify without the benefit of hindsight, often marking the first appearance of characters that will later go on to become popular. However such issues are the bread and butter of the second hand comic book market and it’s important that any serious investor is able to identify classic stories. A good investment here might well be one of the many illustrated comic history books available, especially one that gives you cover images for influential issues. Watch out for modern reprints of classic issues, as well as homages to classic covers. Iconic compositions like the classic “Days of Future Pasts” cover from X-men 141 have been paid homage to in countless later covers, across different genres, and even by competing publishers. Considered by many to be the bane of modern comic book collecting, many modern publications have rare, 'chase' covers, provided mainly as an incentive to comic retailers. These issues are often marked up immediately by the retailers, often to prices that they are unlikely to be able to sustain over time, while the more common cover variants are likely to see a reduction in value. Certainly, when buying new comic books you are well advised to keep an eye out for chase covers being sold at normal coverprices (this might be easier if you buy your comic books early on the day of release, or strike up a relationship with your local retailer) but it’s probably not sensible to pay the store mark-up for rare covers. Pristine condition is important, especially for very old comics. Professional grading services exist that will, for a fee, rate the condition of your comic books and then seal them safely away in a shell, protected from further damage. For many of the oldest comics only a handful of the highest grades of comic books will exist, dramatically increasing their value. It’s certainly always wise to check the condition of a comic book carefully; older comic books especially often contained coupons that could be clipped out. Some comic books have even been sold in sealed polybags, although this is relatively unusual. 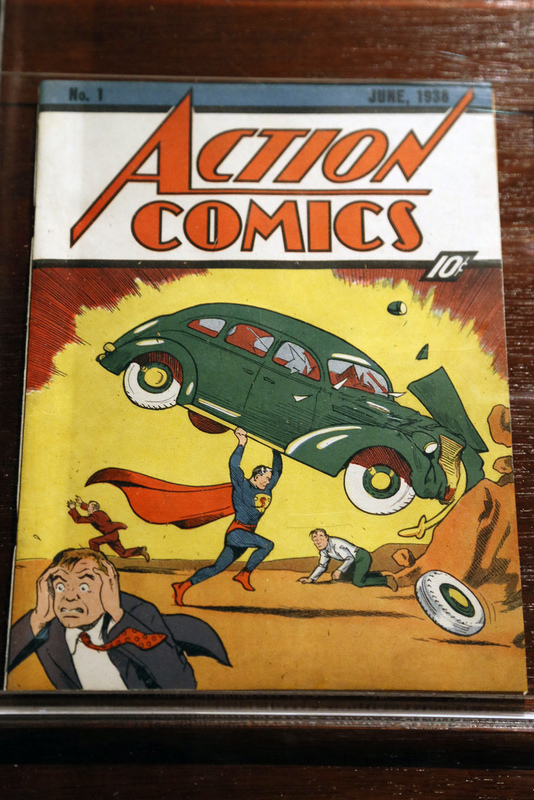 With the more modern comic books, as long as a book is in reasonable condition, many collectors are actually fairly unconcerned about the condition of the comic book, but the large numbers of pristine issues being stored mean that a copy in poor condition is unlikely to increase in value as a collectible over time. If you acquire a really old comic book in exceptionally good condition then you may want to consider getting it graded. Many comic book characters are now billion dollar multimedia success stories. The recent Avengers movie was the third-highest grossing movie in history, earning more than one and a half billion dollars worldwide, and drove substantial increases in the price of associated vintage comic books. Comic characters are now featured prominently in toys, videogames, and on television. Much of this media directly recycles story elements, or often lifts plots entirely from particular issues and these can see their prices increase considerably. Of course, as with all types of investment, the market can adjust quickly to changing circumstances. If you want to keep on top of changing events like this it’s going to be vital to keep well appraised on comic book news so you can stay ahead of the curve. If you are going to buy to invest in new comic books, it’s probably sensible to turn your attention away from the “Big Two” of DC and Marvel, and keep to the smaller publishers such as Dark Horse, Image, and IDW, as well as the many small press “indie” publishers. These often tend to act as a breeding ground for upcoming talent, and produce content over a broader range of genres, and in smaller (at least initially) print runs. Much critically acclaimed content comes from these publishers, as well as a much greater quantity of books fated to disappear without a trace. If you can pick the wheat from the chaff successfully, this is your best bet for finding investment opportunities in modern day comic books. Note though, the collectors market is quick to respond to success, with breakaway hits quickly seeing print runs increase, while wider publications and earlier issues are hoovered up by speculators. As discussed above, to the extent that the vintage comic book market shifts over time, it’s likely to be heavily influenced by characters featuring in upcoming movies. Possibly your best option here might be the upcoming slew of Marvel movies, such as “Guardians of the Galaxy”, many of which will feature characters that have been less exposed for quite some time. Of course this news is sufficiently old that many other investors may have had the same idea. If you are planning on investing long-term then pay attention to which characters are being featured prominently in animated children’s series as this may give valuable information about which books may be of interest to upcoming generations of collectors. In terms of newer comics, Marvel has recently re-launched many titles in its Marvel Now! initiative, which seems to be re-energising the market. There are a number of great titles in this range, but probably the standout title right now Hawkeye (2012) slightly predated Marvel Now! DC meanwhile seems to be stalling in the wake of the similar (and earlier) New 52 relaunch, which initially seemed successful but which involved a number of deeply unpopular, divisive editorial decisions that now seem to be poisoning sales and driving talent away from the company. Standouts for IDW include a broad range of geek-friendly licensed properties, many of which are extremely well written, as well as the excellent, but nearly complete, Locke and Key horror series, written by up and coming horror author Joe Hill - definitely one to watch for the future. 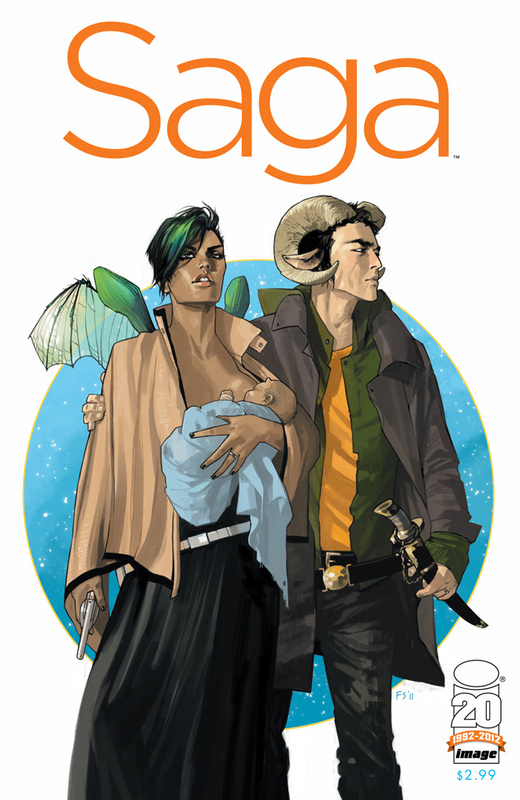 Meanwhile, Image is publishing the acclaimed Saga and Morning Glories series, so it’s probably still worthwhile keeping an eye out for early, first print issues of both of these. If you really do intend to seriously invest in old comic books, then you might want to pick an area to specialise in. Comic book investing is going to involve acquiring an awful lot of specialist knowledge and focusing on a particular niche will make this much more manageable. Comic book stores – Obviously this is the best place to buy new comics, but you will find that the most in demand series can sell out quickly. Most stores will allow you to set up a list of reservedcomics and then come in later to pick these up, but buying your comics this way may mean you are less likely to pick up on that hot new breakout series. Many comic book stores have boxes full of older issues, some of which can be decades old. Just keep in mind that these offerings will most likely have been combed daily by comic book collectors for all that time, so you might have to do a lot of combing yourself to find that golden nugget! Online - The problem with buying more recent comic books online is going to be one of postage costs, as most comic books are relatively low on the value to weight ratio. Don’t plan to acquire large collections through the mail. You might consider using social media to identify people who are considering selling an existing comic book collection however. If you wish to invest in older comic books, you will want to keep a careful eye on auction sites such as eBay. Set up searches to automatically find items of interest and, as always with online auction sites, look for poorly listed items being auctioned off that might attract fewer bidders. Charity Shops – Charity shops often have comic book collections donated to them, and are much less likely to have the expertise to exhaustively identify the most valuable individual items (although they may well have an inflated impression of a collection's overall worth). Charity shops are often poor at keeping comics in good condition however. Buying directly from individuals – Probably your best chance to make a significant find is to look for individuals who are considering selling off their existing collections, normally as a set. Advertise that you buy comics and look out for local for sale ads on the internet and in publications. The main issue you'll need to watch out for is that because most individual comics aren't that valuable, you may find yourself paying too much for unsalable items to make any profit on any valuable items included in the set. You obviously need to keep your comic books in good condition and away from any sources of moisture. Sleeves, backing boards and storage boxes can be acquired from your local comic book store, although these expenses can add up for a large collection. A large comic book collection can take up a lot of space, and comic storage boxes are extremely heavy. If you store everything in one place, make sure the floor underneath is up to the task! As previously discussed, the relatively high weight to value ratio of comic books can make it difficult to sell them online economically. Amazon's fees only when you sell marketplace model means that comics sold through the site might make more money than those listed elsewhere, but the interface is not well designed for listing comic books. Your best bet might be selling through local comic book events. These are great places to find buyers who might be willing to pay the actual market value of comic books. Just remember that you'll have to calculate in any fees to sell at such events. While comic book investing isn't for the faint hearted, for those looking for a challenge or with an existing interest in the subject, then comic books could certainly represent a fun and rewarding way to put some money aside. And remember that the reward doesn't necessarily need to come in the form of a financial dividend. Invaluable for keeping you appraised on the hottest prospective titles. One of the most important predictors of future value, is it any good? Comic Book DB - Exhaustive listing of characters, series, and individual issues. Comics Price Guide - Critical resource for any serious investor. Comic List - Key information on upcoming comic release dates. CGC Comics - Comic valuation service. Comic Vine - Particularly notable for its extensive comicbook database wiki.